The Telecommunications Regulatory Authority (TRA) revealed that the number of data systems provided in cooperation with the Federal Competitiveness and Statistics Authority and other government entities on bayanat.ae has reached more than 500 systems, covering various educational, health, environment and other fields. TRA said that this achievement is the result of cooperation with the Federal Competitiveness and Statistics Authority and more than 36 federal and local entities, to enhance the UAE strategic direction towards digital transformation, keep pace with the Fourth Industrial Revolution, and utilize data in finding innovative solutions to future challenges. 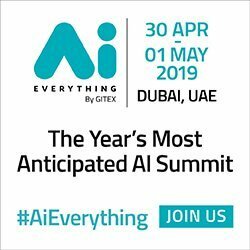 TRA plans to increase the number of data systems on the portal significantly in the coming months, as data plays a vital role in the age of Artificial Intelligence (AI) adopted by the UAE Government as the cornerstone of future shaping and achieving leadership and excellence to serve humanity, locally and globally. TRA efforts in this context are in line with its role as enabler of the digital transformation process at government level. On the national data portal and its role, H.E. Hamad Obaid Al Mansoori, TRA Director General, said: "The next stage of digital transformation in the UAE is the stage of Artificial Intelligence. We are delighted to have the UAE AI Council, headed by H.E. Omar Bin Sultan Al Olama, Minister of State for AI. During the coming phase, we will work together, federal and local governments, to provide government open data through the official data portal (bayanat.ae). We also encourage the private sector companies to provide data systems that can be used by researchers, students, investors or entrepreneurs." H.E. Al Mansoori added: "The ultimate objective of all government efforts and strategies in our beloved country is achieving people's happiness, enhancing the UAE's leadership and strengthening the principles of sustainability in various vital sectors. Thus, we are keen to ensure that data is a major element of reaching sustainable economy for the post-oil phase, in line with our wise leadership directives." He clarified that the launch of the UAE government open data portal aims to achieve the objectives of expanding the knowledge range of open data, creating a successful UAE open data blog, contributing to the creation of data scientists generation, encouraging federal entities to release open data for public use, implementing the principle of transparency and open government by providing data for public use and utilizing it to identify innovative solutions. The portal also enhances the culture of government innovation through the creation of a national data community of federal and ministerial entities, capable of developing plans and standards for the dissemination and employment of data. Moreover, data is considered an essential component of global digital economy. Some experts describe it as the new oil in the age of digital transformations, where the wealth generated because of data management and utilization is estimated to have reached billions of dollars in USA, Europe and elsewhere. Through multi-leveled efforts, the UAE Government seeks to dedicate data handling as a culture and practice in various private, public and academic sectors. In this context, the TRA had organized "The UAE Hackathon" initiative under the slogan "Data for Happiness". This initiative is the first of its kind for the use of big data, and its conversion to solutions that achieve customers' happiness, within several challenges such as education, health, environment, traffic congestion, lifestyle and social relations. This comes in the context of a series of efforts at local and federal levels to enhance the role of big data in the digital economy. The UAE has witnessed the issue of the law on regulating data dissemination and exchange in the Emirate of Dubai. Furthermore, a national policy for the provision and exchange of data at the federal level is currently under preparation, along with relevant guidelines to assist the entities in making their data available and open to the public. Moreover, TRA is the responsible entity of the digital transformation process in the UAE. The launch of bayanat.ae is compatible with the digital technology, which is the second element of the Fourth Industrial Revolution, as the digital technology depends on analyzing the data and connecting it to the physical world, to come up with life solutions that serve the people. 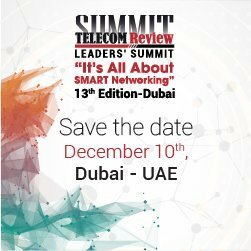 As part of its efforts to raise awareness on the value of data and to enhance its use, TRA hosted last year the first data management forum, launched in Dubai in cooperation with the International Telecommunication Union (ITU) under the slogan "transforming data to value". The forum included sessions and workshops focused on expanding internet access with special focus on smart cities.